Chemical changes result in the formation of new substances. But how can you tell if a chemical change has occurred? Explore this question by observing and measuring a variety of chemical reactions. Along the way you will learn about chemical equations, acids and bases, exothermic and endothermic reactions, and conservation of matter. Two different graphic organizers for students to document learning about evidence of chemical changes and... (more) conversation of mass. Depending on the standards and grade level, choose which graphic organizer to share with students. This is a handout that contains a table to be filled in as if the students were in the actual science lab... (more) carrying out an actual lab. The goal is to determine if a chemical reaction has occurred. 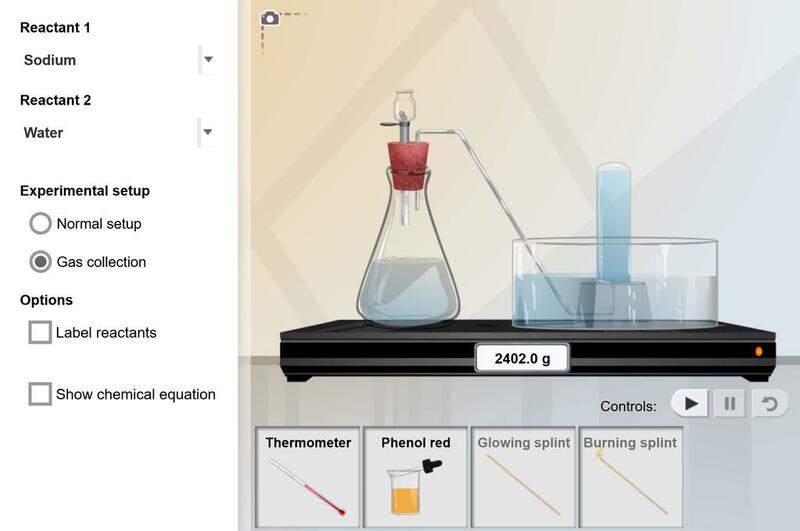 This is a great interactive lesson to help explain chemical changes and the law of conservation of matter.